As a community of women seeking better working conditions, we went to Sacramento to influence decisions that this group of legislators makes for all of us – to put an end to the displacement of our families, who cannot live in the Mission because the law favors those with more resources. There is much injustice in our city and we are not willing to endure more. As domestic workers, despite working long hours we do not earn enough money to live with dignity and we are not able to spend much time with our children. This affects their health and emotional development. 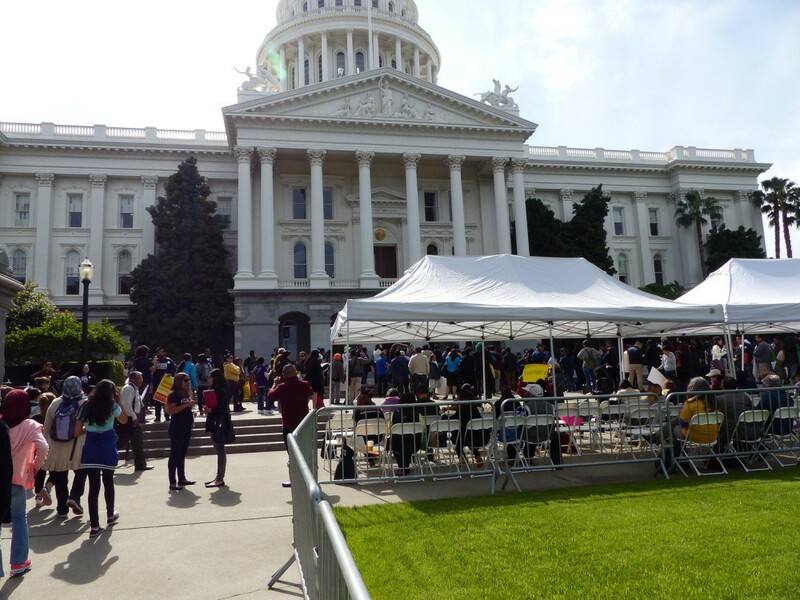 With our presence and voice in Sacramento we worked to pass laws to improve conditions for domestic workers. We did it!